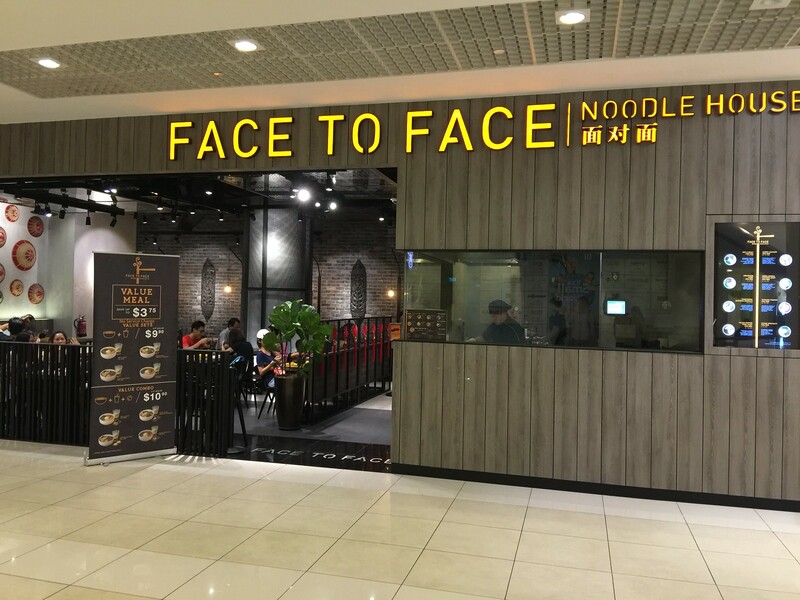 After Kin Kin Chilli Pan Mee, another well known brand in Malaysia, Face to Face Noodle House (面对面) has arrived on the shore of Singapore with its first outlet at City Square Mall. Face to Face Noodle House has 105 years of heritage and 30 outlets around Malaysia, bringing the authentic Sarawak noodles to Singapore. The founder's great grandfather picked up the rare skill of making Jook Sing noodles, one of the rarest forms of noodle making. The noodles at Face to Face Noodle House is handmade daily without any preservatives. I have not tried the Sarawak Noodle ($8.90) in Malaysia but this is definitely the signature here. 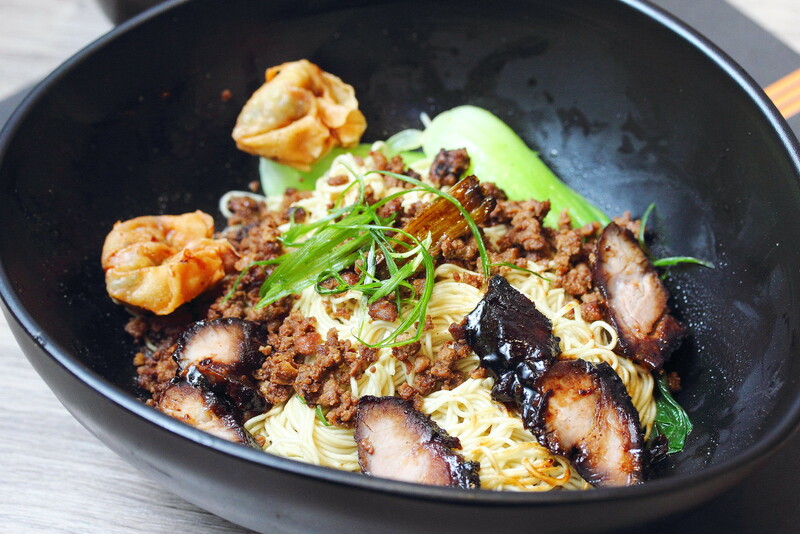 The sarawak noodle comes with minced pork, char siew, fried wanton and marinated spring onion. The star has to be the noodles for its springy texture. The char siew if has a bit more fats would be excellent. 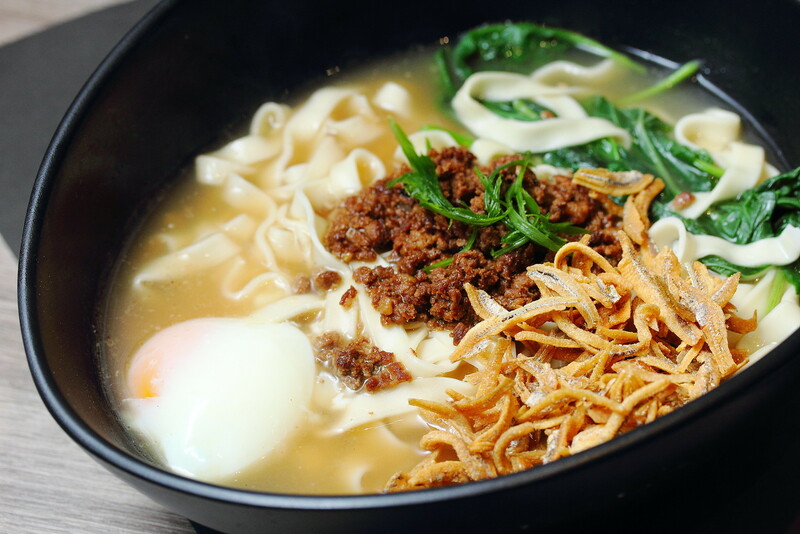 For those that prefers soup base noodles, the House Specialty Pan Mee ($8.90) comes with minced pork, crispy anchovies and onsen egg. 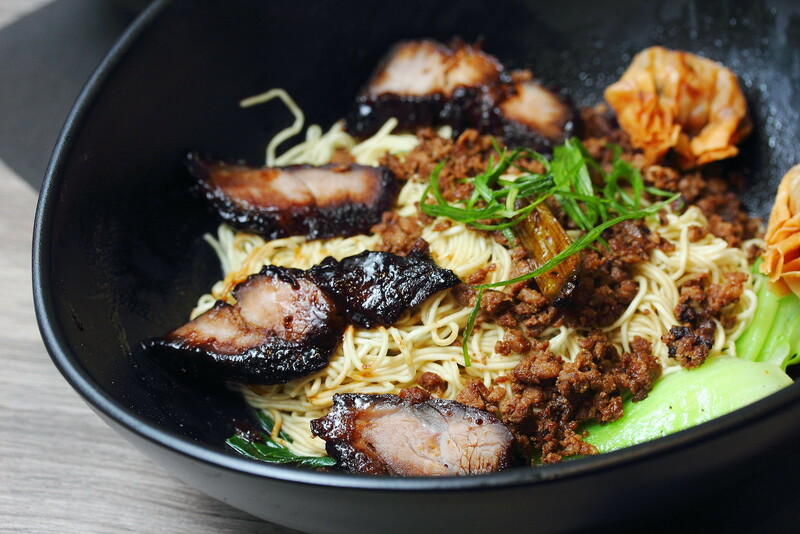 The rich and intense broth together with the bouncy noodle complemented each other excellently for a comforting and satisfying bowl of pan mee. 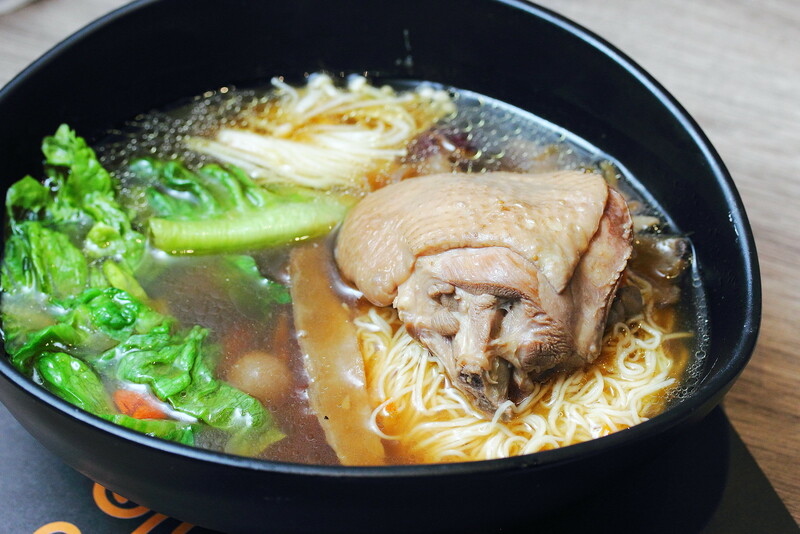 To cater for the locate palate, Face to Face has also created the Curry Chicken Pan Mee and Genki Herbal Chicken Pan Mee ($12.90). I had the latter which comes with homemade noodles in traditional herbal soup served with tender chicken, enoki mushrooms and various herbs. The noodles used is thinner and softer compare to the others. It also feels more substantial with a huge piece of tender chicken thigh. 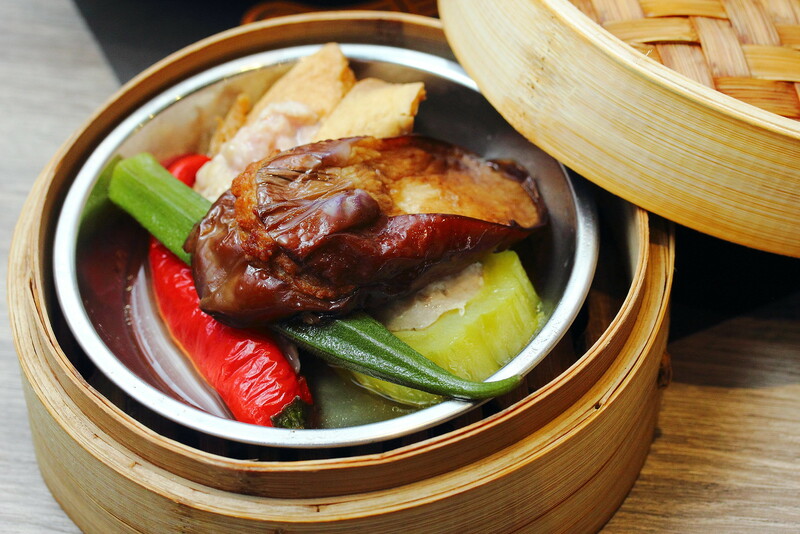 To complete the meal, Face to Face Noodle House also offers Yong Tau Foo and some snacks on their menu. We ordered the Five Treasure Set ($7.50) which has a bit of everything. The basket comes with chilli, ladyfingers, tofu, brinjal and bittergourd with meat stuffings. Face to Face Noodle House did manage to satisfy me for the excellent texture and smoothness in their homemade noodles. My only wish is they will open another outlet in the West of Singapore. Bringing their delicious Sarawak noodles nearer to my home.